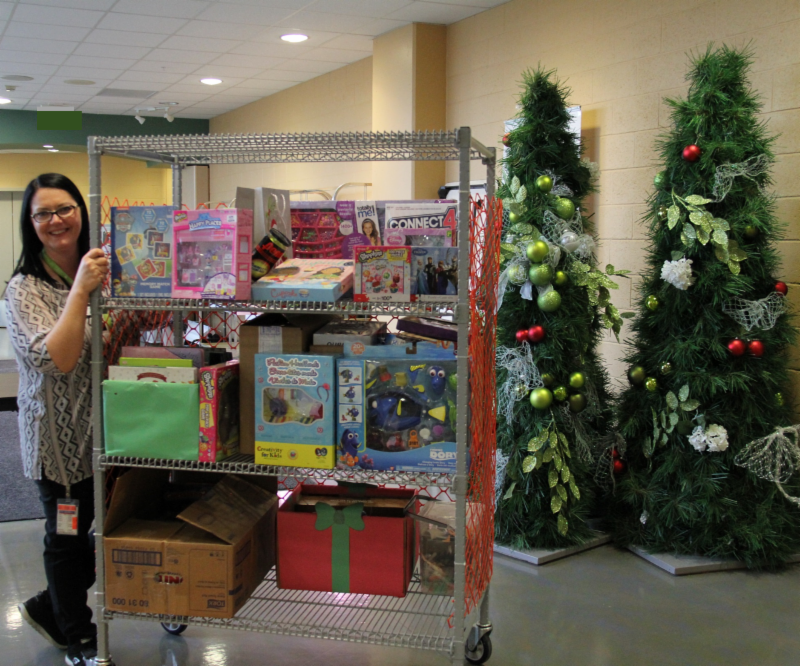 Stacy Kelly with a cart full of donated toys. For Stacy Kelly, the Gifts in Kind Donations Coordinator, December is the busiest month for donations at the Alberta Children's Hospital. "Donations are pouring in and we couldn't be happier and more grateful. The toys make such a difference; seeing the kids' faces light up when they receive a toy is huge. I feel pretty lucky that I get to be a part of that," comments Kelly. All children who will be spending the holidays at the hospital will receive a gift ... and their sibling(s) will too! Our Child Life Specialists carefully select and wrap these toys and they are delivered during the night so on Christmas morning, these special children and teens have a present waiting for them! Toys are also given on a child's birthday and when undergoing a difficult procedure or after some surgeries. Therapists will also use particular toys as a tool to motivate or distract a child during therapy. Playrooms on each Unit are continuously stocked with toys from these donations as well. While most donations come from corporations/organizations and schools that do toy and book drives, we are also seeing increased donations from families, kid's birthday parties, and knitting and quilting groups. "We would not be able to provide for the kids in the hospital if we didn't have the incredible generosity from our community," states Kelly. It is not too late to arrange for a donation either! "We have an abundance of 1-7 year-old toys but we really have a need for toys and gift cards for adolescents, teens and newborn to 18 months old," says Kelly. Donations are welcome throughout the year at Alberta Children's Hospital. For guidelines and wish list ideas, please visit the Donation page at Alberta Children's Hospital Foundation. Juliana Harris (second from left) and Rachel Martens (far right) with members of the Portering Staff. 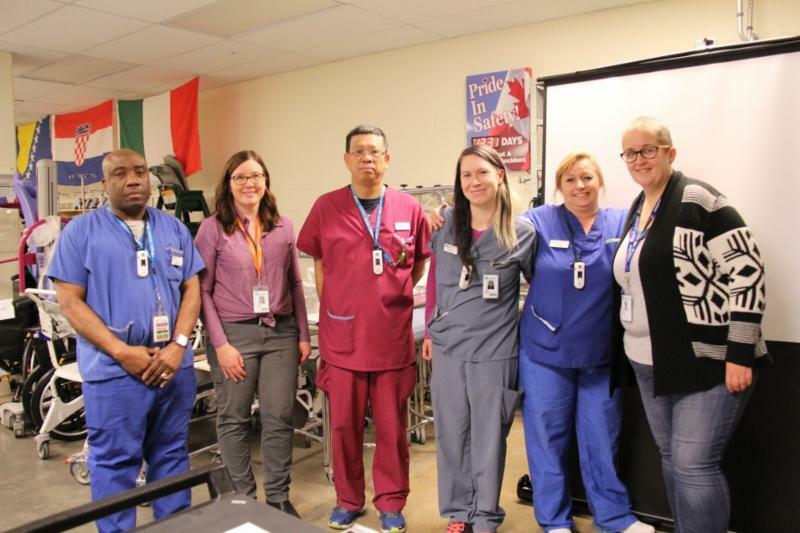 Recently the Patient and Family Centred Care team had the wonderful opportunity to provide Patient and Family Centred Care (PFCC) training to the portering staff here at Alberta Children's Hospital. 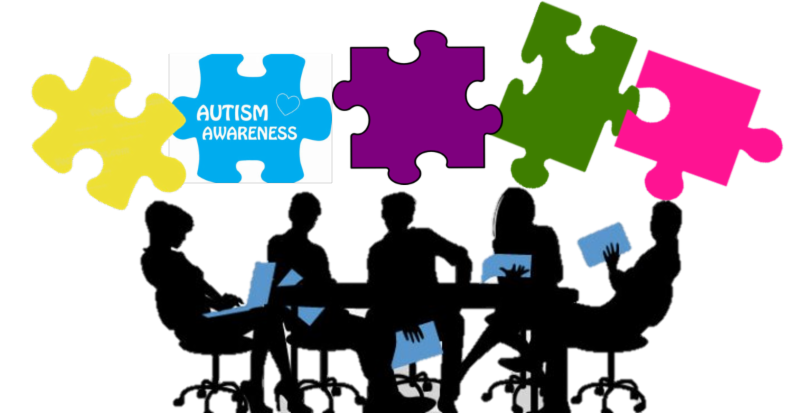 Five sessions were held to accommodate the different shifts and facilitated by Juliana Harris, PFCC Project Manager, and one family representative (Rachel Martens or Sandi Oelhaupl). The sessions reviewed the four principles of Patient and Family Centred Care (Respect & Dignity, Information Sharing, Participation, and Collaboration) and what it means to practice each principle related to the portering role using stories of lived experiences by the family representatives. Much of the session reinforced the positive service oriented approach this group is already practicing but many walked away with an idea or two on how they could further contribute to a positive patient and family experience through their interactions with families. We also reinforced their value as part of the overall care team and that they play an important role in the functioning of the hospital. The session evaluation from the group was unanimously positive and many indicated how motivating it was to hear the positive feedback about how their often small interactions positively impact patients and families. They left the session feeling a greater connection to the 'bigger team' here at the hospital. This year's Canadian Association of Paediatric Health Centres (CAPHC) Conference was held in Montreal on October 22-24. The Alberta Children's Hospital PFCC Team was well represented by staff member Sandi Oelpauhl, PFCC Liaison, and Family Advisor, Garrity Beales. The theme of this year's conference, "Engaging Children, Youth and Families: Are You Ready to Move Beyond Good Intentions", focused largely on creating meaningful engagement with patients and families. Also identified were CAPHC's three goals for 2018, namely: Mental Health, Youth Transitions, and Indigenous Health. 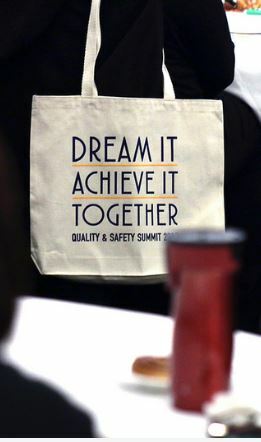 The Dream It / Achieve It / Together Quality and Safety Summit took place at the end of October in Edmonton. Two of our family advisors, Tania Baldwin and Ashley Jones, helped co-facilitate a few of the sessions. We are so thankful we have talented and dedicated family advisors who believe and act passionately in everything they do. Here's what one presenter said about Tania, "I was in awe of her ability to summarize all the presentations, define their impact to the patient experience and provide key messages to the session participants. Her message held everyone's attention after lunch and provided hope and inspiration to everyone in the room. It actually gave me goose bumps." "Even the smallest of time shared makes a difference." The Alberta Children's Hospital is interested in hearing from families with children on the Autism Spectrum on how to make hospital visits less stressful for your child and your family. We need your feedback and ideas on how to improve the hospital experience for children with ASD when they come for clinic visits, surgery, or inpatient stays. Wishing you and your families the very best this holiday season!